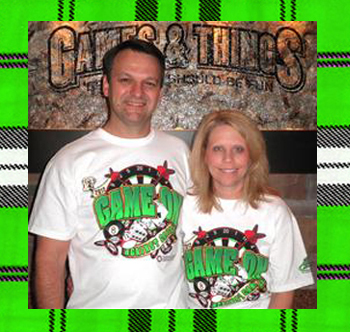 Games & Things owners Scott and Lisa Mellon came up with the unique idea for this fundraiser and sponsored the event. the needs of so many patients there. 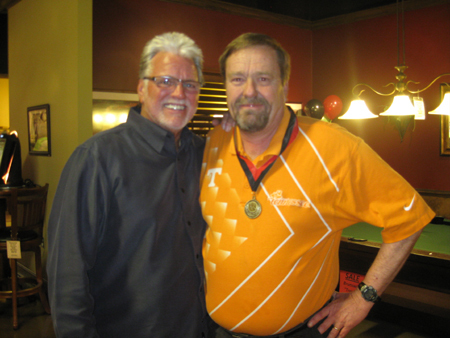 Several Knoxville celebrities joined in on the fun for this event. There were sports icons, radio and television personalities, plus both the city and county Mayors. 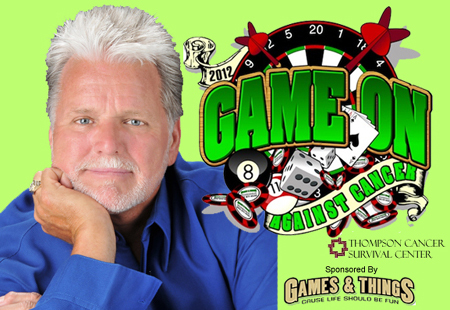 For a donation of $50 you could take on your favorite celebrity in a game of your choice, like Shuffleboard, Table Tennis, Darts, Billiards, Blackjack, and 5-Card Draw. 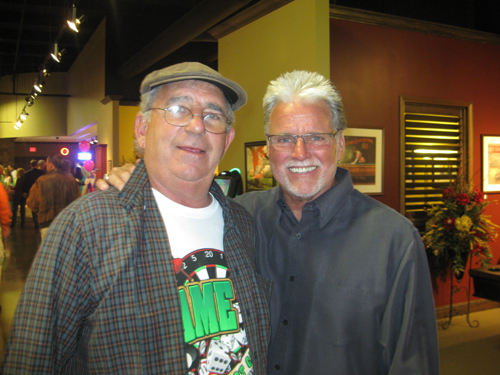 of The Heartland Series was the dealer. Con and Bill take a quick break for a picture. Bill's Heartland Series is an East Tennessee treasure. The show has won numerous awards and highlights the unique people, communities and history that make East Tennessee and our surrounding area so special. Bill was glad to be a part of this event for such a worthy cause. The games continue with everyone enjoying some good-natured competition. There was a great turnout for the first year of this event, and there are great hopes to make it an annual event. The Thompson Cares Fund provides financial assistance for patients with basic needs like overnight housing, transportation, medication and supplies. The Fellowship Center offers a free home-away-from-home to patients who travel from out of town to receive treatment at TCSC. Besides wonderful supportive services, the center also provides fully furnished apartments and even meals. 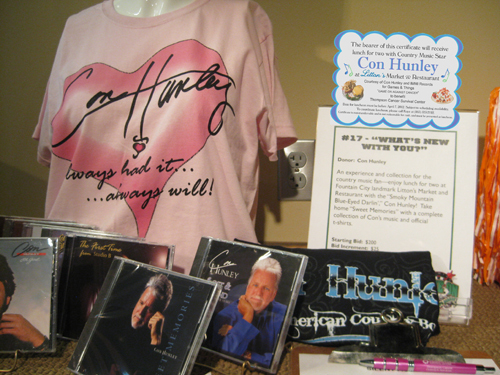 Kaye Heatherly was the top bidder for this fun prize! She and her husband are looking forward to having lunch with Con. 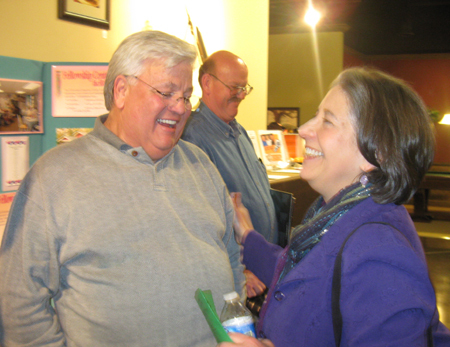 City of Knoxville Mayor Madeline Rogero was proud to take part in tonight's benefit. 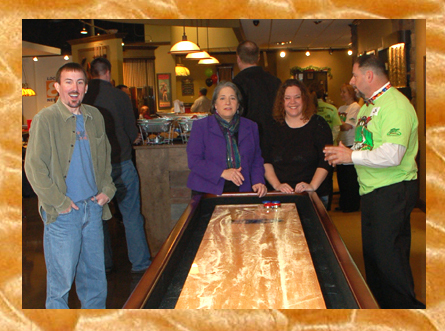 Madam Mayor took on several challengers in shuffleboard. 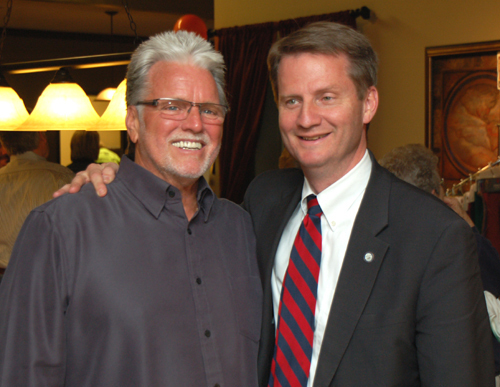 Tim Burchett was also on hand to help with this worthy cause. 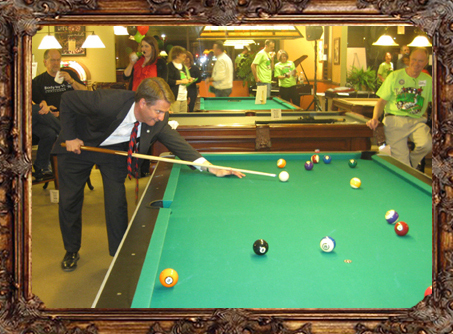 Mayor Burchett took his chances against players at the pool table. 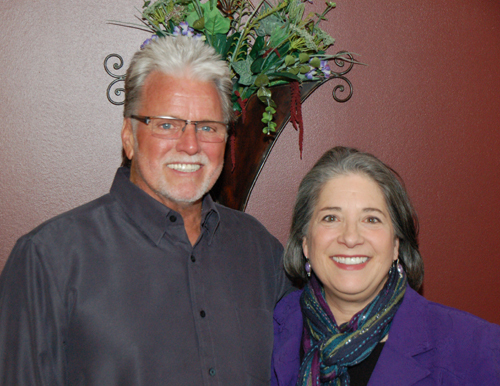 Con's brother Steve Hunley, chats with Mayor Rogero. Steve was also proud to be one of the event sponsors. 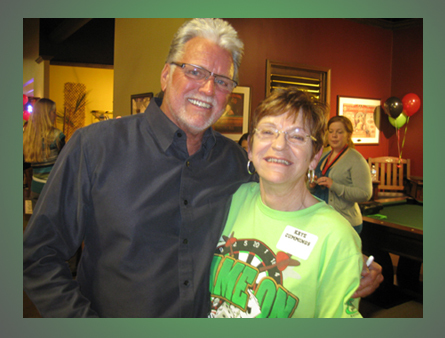 Kaye has known Con for years, and was actually responsible for recruiting Con for this fun event. It was a great night filled with a lot of laughs and fun and games. But the most important thing is that more than $30,000 was raised to help the programs at TCSC! Kudos to all the celebrities, sponsors and gamers...Let's do it again next year!